Elaion is proud to announce that the Pandora's Kharis members have raised $75,- for our democratically decided upon cause the Meals On Wheels. I am once more very happy to say you have all given generously, and in the spirit of the Gods! 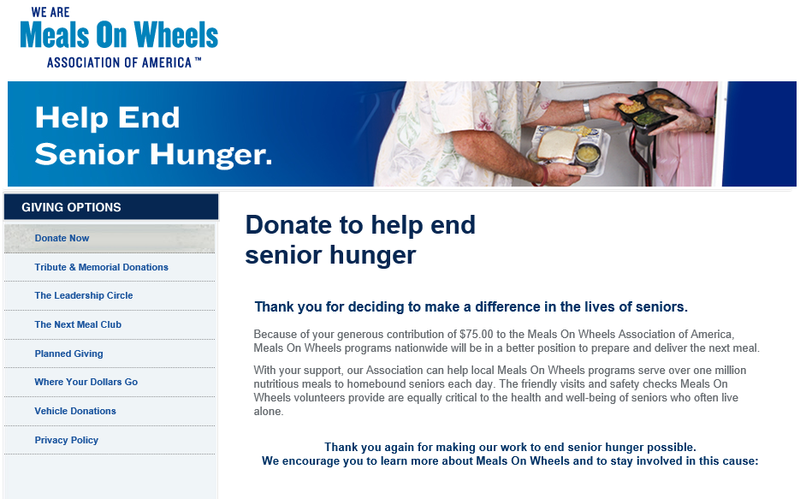 The Meals On Wheels Association of America is the oldest and largest national organization composed of and representing local, community-based Senior Nutrition Programs in all 50 U.S. states, as well as the U.S. Territories. All told, there are some 5,000 local Senior Nutrition Programs in the United States. These programs provide well over one million meals to seniors who need them each day. Some programs serve meals at congregate locations like senior centers, some programs deliver meals directly to the homes of seniors whose mobility is limited, and many programs provide both services. While remarkable, the one million meals per day figure underestimates the size and shape of the Meals On Wheels network and its reach and influence in communities across America. In addition to the hundreds of thousands of seniors who receive meals, there are many thousands of professionals employed at the various local Senior Nutrition Programs across the U.S. More notable than that is the virtual army of two million volunteers who also "work" for these programs.